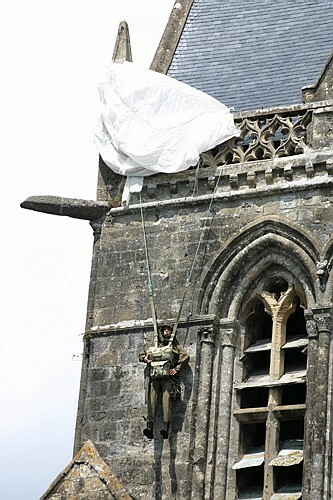 The Airborne Museum is located in a Park of 3000 m² near the well-known church and his parachutist hanging like it happened the night before the landing. 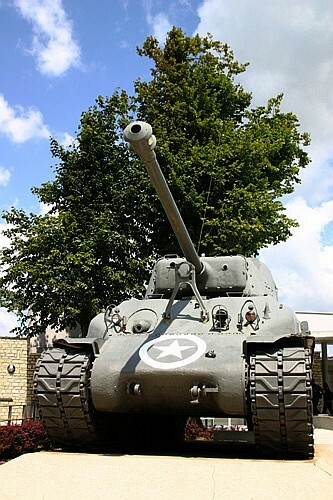 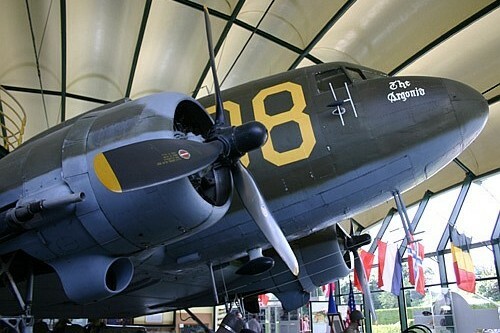 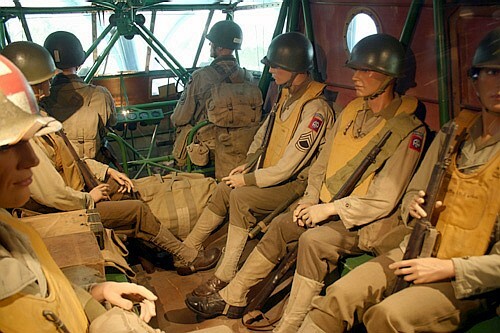 This museum of legends is a hymn to the extraordinary epic of the American parachutists of the 82nd and 101st airborne division, who dropped on Sainte-Mère-Eglise in the night of 5-6 June, 1944. 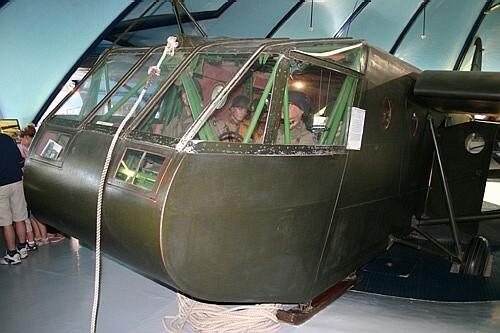 A first building in the shape of a parachute shelters a Waco Glider in its original state, as well as many showcases furnished with documents of the time, testimonials, weapons, ammunition, etc. 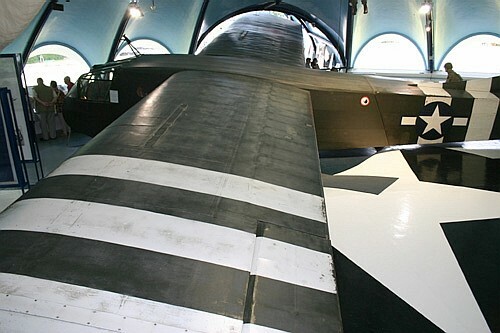 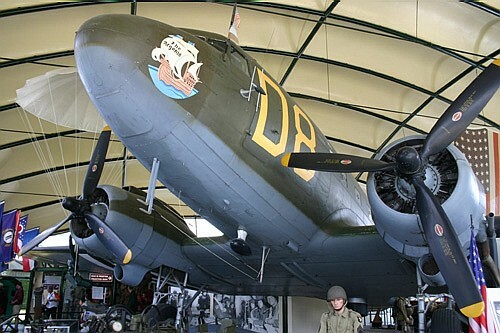 In the second building, in the shape of a delta wing, you will find the Douglas C-47 plane "Argonia" which took part in dropping the parachutists and in towing gliders at the time of the Landings. 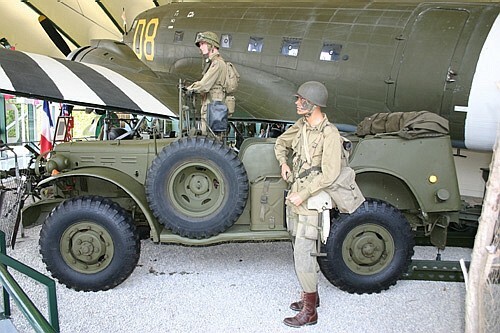 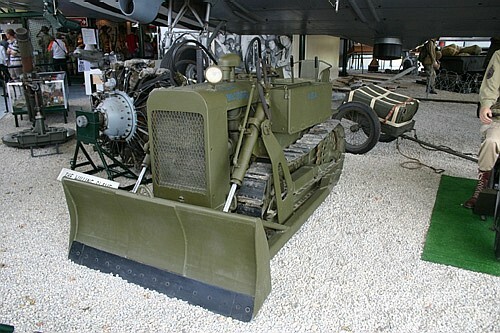 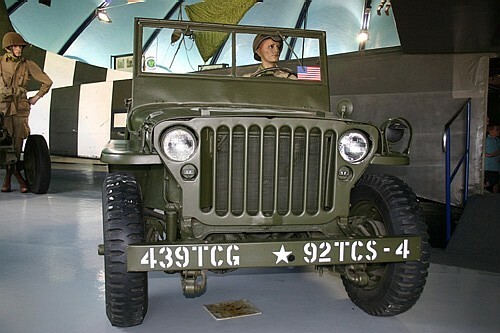 Many models in uniform and vehicles are displayed. 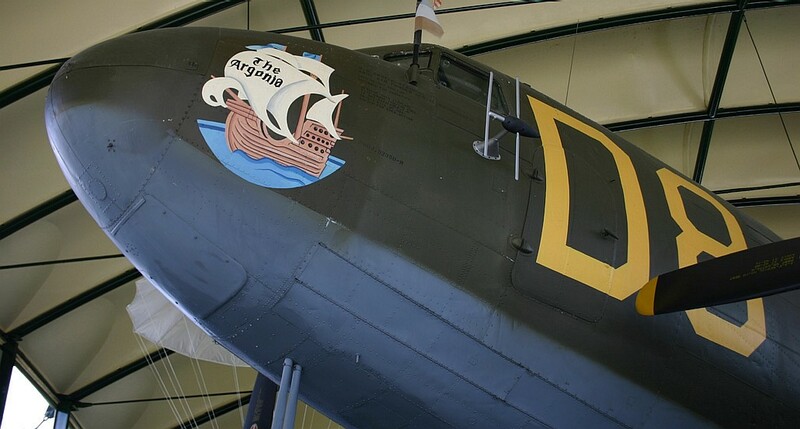 The Douglas C-47A "The Argonia"